Come and stay in our lovely Cabin on the Loch - our custom built cabin on stilts over the pristine Loch Venachar. Situated in the heart of the Trossachs, not far from Glasgow, Edinburgh and Stirling, this is a totally private secret escape. Welcome to East Lodge Cabin on the Loch. This is truly a place to relax and to get away from it all. 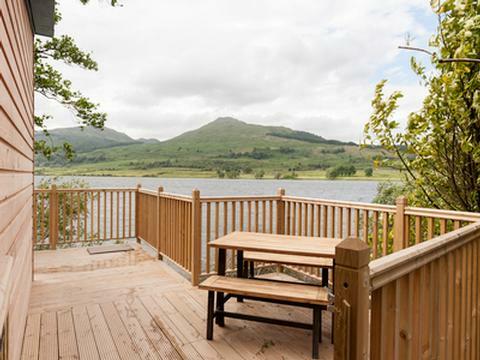 Just sit on the deck, or take a stroll along the banks of the Loch to stretch your legs. The cabin sleeps 2 people and is totally private. The cabin is in a wonderful location, ideal for fishing, walking and cycling, (or just chilling). 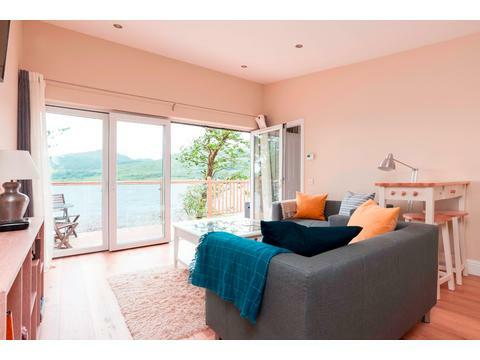 Situated within the Loch Lomond and Trossachs National Park, it is in an area of outstanding beauty and enjoys fishing rights to the Loch. Bring your bicycles, the tracks start at your front door and give you access to a vast network of on and off road cycle tracks. Or you can hire bikes from just along the road. The Loch Venachar Sailing Club is nearby and they sail on the Loch. Fancy learning to do a bit more in the kitchen? Why not book yourself or loved one onto a course at the famous Nick Nairn Cook School. 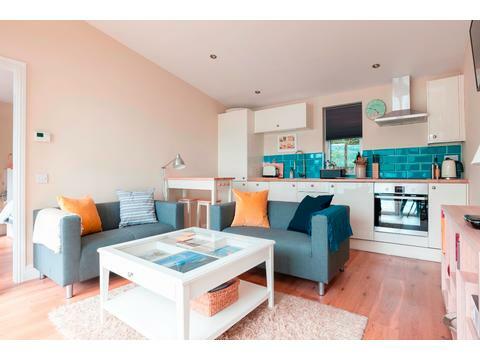 You have access from your front door to gentle walks along the Loch, or to more challenging hikes through the hills to neighbouring villages. 5 minutes by car takes you into the village of Callander where you will find a bustling High Street full of shops, cafes and restaurants. You can also go for a swim in the local pool, or for a fantastic fun day out take a drive round to the David Marshall Lodge and “Go Ape”. From Loch Katrine you can take the paddle steamer around the Loch or take a trip to Balquhidder to see Rob Roy’s grave followed by something to eat at the exquisite Monachyle Mhor. If you fancy yourself in a wetsuit doing a bit of 'Total Wipeout', "Go Country" is just a 15 minute or so drive away. There are some excellent golf courses with stunning views nearby and, of course, pony trekking. 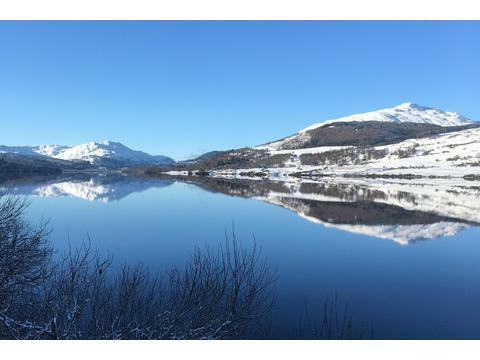 Why not try the latest craze and do a bit of open water swimming in the Loch? The ancient capital of Scotland, Stirling, is half an hour away with its historical castle and Wallace Monument. The filming location of Monty Python's Holy Grail and the very saucy Outlander, Doune Castle, is 15 minutes away. There is simply SO much to do in this incredible place - it is the ultimate holiday spot. The ideal holiday location for exploring Perthshire, Stirlingshire, Loch Lomond, Glasgow, Edinburgh and the whole of central Scotland. We know you’ll love it as much as we do. 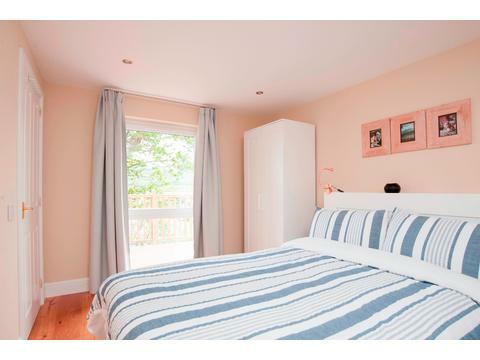 Our cabin sleeps 2 people, with a beautiful bedroom that has amazing views and loads of storage. The cabin was built in 2018 and is beautifully appointed. The kitchen is very well equipped by people who love to cook. We have Smart TV and WiFi and an interesting selection of books. Living room: A very comfortable room with 2 setees, a smart tv, bi-fold glass doors that open up completely on to the deck. Underfloor heating heats the cabin throughout. The Kitchen: The kitchen is open concept and includes a funky breakfast bar, dishwasher, fridge/freezer, ceramic hob and electric oven. It is well stocked with everything you'll need. 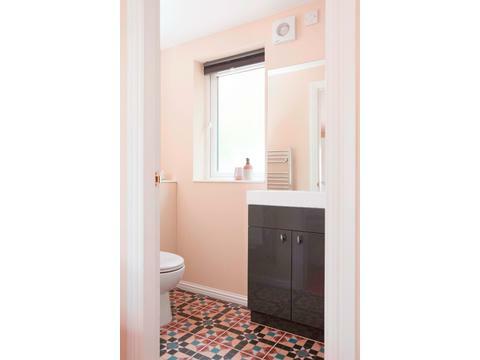 The En Suite Toilet, There is a shower, sink, toilet and heated towel rail. And, of course, a toilet. 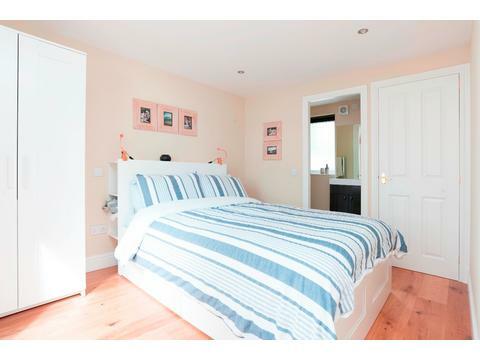 The Bedroom: A comfy double bed with orthopaedic support mattress and plenty of drawer space underneath. A hidden headboard side-table thingy and individual reading lights. There's a wardrobe with both hanging space and flat storage. The window is the length and breadth of the wall and opens in 2 ways to optimise fresh air and/or the outdoor feel. The Deck: The deck allows you to walk along the lochside of the entire house. Guaranteed great views wherever you look. There is a table and benches, as well as some chairs and a little table. There is a charcoal barbecue for the sunny days. We can sometimes offer discounts for late availability and short breaks at our holiday cabin. Just get in touch. Please ensure that you have adequate holiday insurance as we can only reimburse your payments if we are able to rebook your holiday period in the event that you have to cancel. 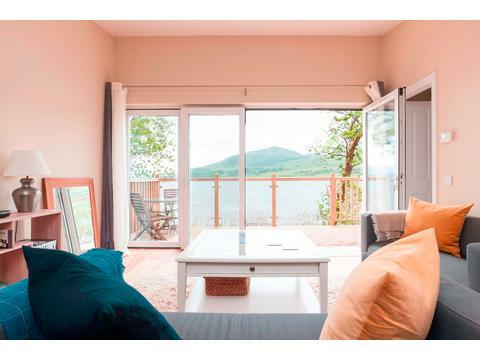 For more information on our Luxury holiday cabin near Loch Lomond in central Scotland, please contact us using the links above. Alternatively check our availability and enquire online using the calendar below. We look forward to welcoming you soon. 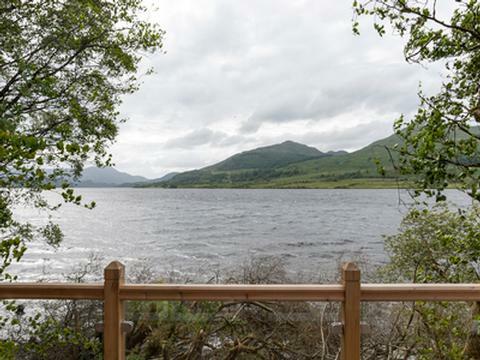 Located just outside Callander in the woodland estate of Invertrossachs, the Cabin has great views over Loch Venachar and the Trossachs mountains. Stunning sunsets and great wildlife together with fantastic walks for all abilities. Heaven on earth. Contact Sue Berits for Enquiries and Availability.